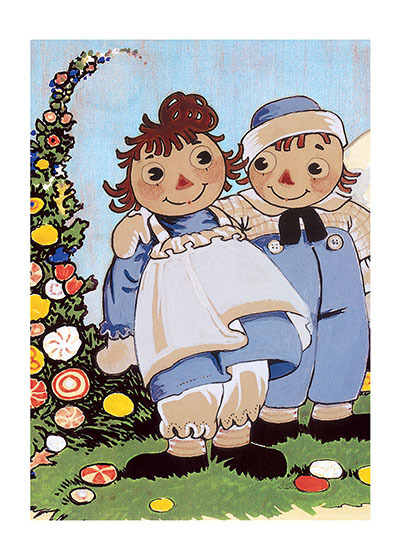 Raggedy Ann and Andy's creator, Johnny Gruelle (1880-1938), has been popular from his first book (1918) about this world of lovable dolls until today. Raggedy Ann and Andy's creator, Johnny Gruelle (1880-1938), has been popular from his first book (1918) about this world of lovable dolls until today. This is because of his genius at picturing toys who are, at one and the same time, appealing and yet living beings with feelings, aspirations and original thoughts. He was, additionally, a superb artist whose balanced and beautifully colored pictures continue to please us.